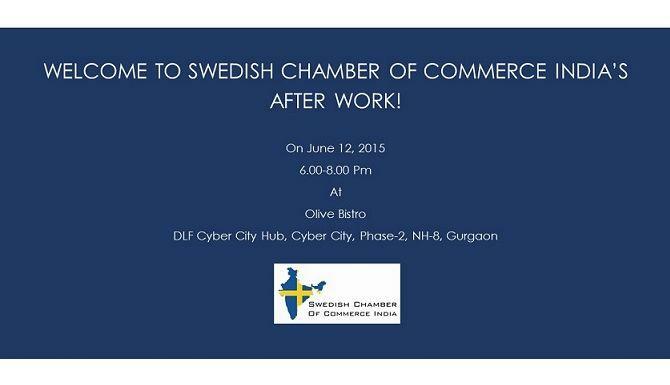 The Swedish Chamber is hosting an After Work in Gurgaon on June 12. Take the opportunity to mingle, network and interact with friends and guests in an informal and relaxed environment. So whether you are working, accompanying spouse, student or setting up your own business or an old-timer, or just happen to be around on this date, you are warmly welcome to join and meet representatives from different businesses in India. Please feel free to invite your friends and business colleagues. Please register here or RSVP to event@swedishchamber.in.